York railway station is one of the best connected in the UK, on the east coast mainline joining Edinburgh to London, linked to the midlands and south west via Cross Country and to the north west via Trans Pennine Express. Cheap fares are available and can be purchased up to 10 weeks in advance via National Rail. 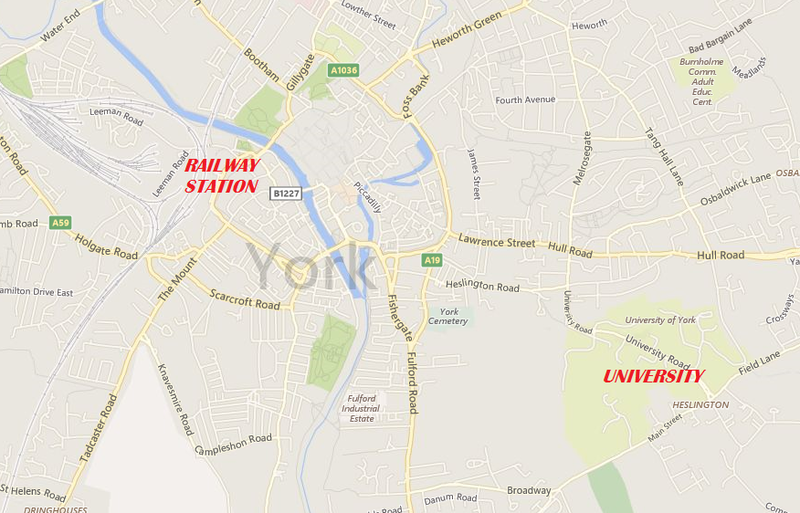 York is easily reached by car, situated just off the A1(M) from either south or north. If travelling from the west, use the M62 towards Leeds then go north on the M1. If flying to the UK, Leeds-Bradford International is the nearest airport (24 miles away) connected to several European locations by a number of airlines. Manchester Airport is a little further away (80 miles) but better connected still. There is a direct train between Manchester Airport and York which takes under two hours. The journey to York from most London airports would take 3-4 hours by rail or car. York University is a short bus (number 66 service) or taxi ride from the city centre and railway station. The York University website states that parking on campus is free at weekends and between 1800 and 0800 on weekdays. There is a wide variety of accommodation available in York city centre for all different tastes and needs. We expect most tournament players will find a place to stay there. Two recommended good value options in York city centre are the Safestay Hostel and the York City Premier Inn in Blossom Street. Lunch will be provided on Saturday and Sunday as part of your ticket price. If you have any allergies, intolerances or other dietary requirements please contact us. You will need to make your own arrangements for dinner. We recommend eating in York city centre where there is a wide variety of restaurants, pubs and bars. The campus has cafés, vending machines and a convenience store on site. On Friday and Saturday evenings we’ll suggest a meeting point in York centre for those who would like enjoy a night out in the city.